Perfect appetizer, snack, or entree - and easy to customize for everyone's tastes. Set an iron skillet or a frying pan over medium heat. Grease with butter. Place tortilla on skillet. 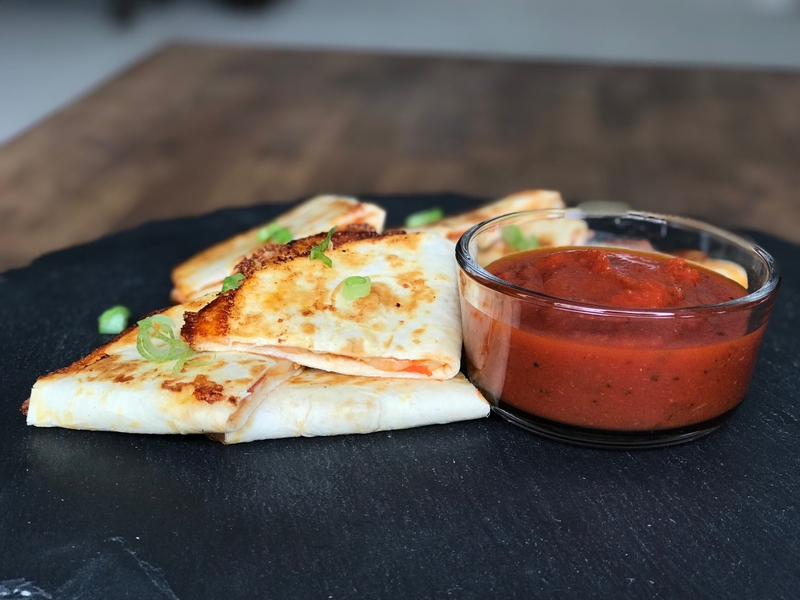 Spread a light layer of pizza sauce over each tortilla. Divide up the toppings evenly over each flour tortilla. Don't overstuff. Once cheese begins to melt, using a spatula, fold one side of the tortilla over the other. Cook just until lightly browned. Serve while warm with additional pizza sauce, if desired.